Wow! What an amazing afternoon we have had in Year 3, meeting Guy and all his amazing rainforest creatures. We learned so much from him. He brought in a big range of animals such as stick insects, cockroaches, a scorpion, a poison dart frog, an African snail, a red-kneed tarantula, a millipede, a corn snake and a huge marine toad - that had a good move around! We can’t wait to find out lots more about these creatures ourselves now we’ve had chance to meet them ... and even touch some! PE has been so much fun in Year 3 this term, linked to our rainforest topic. It involved lots of problem solving and collaboration as well as stretching and bending our bodies. Can you tell what the human letters spell out? Hint: it’s our topic this term. What a fantastic trip Year 3 had to Sealy today, to find out more about the company who are sponsoring our bedtime stories project. The class loved looking round the offices and factory. They met lots of different staff who did a range of roles and enjoyed listening to them tell us about their specific job. We learned about the sewing machines, the springs, the warehouse and so much more. All the staff were so lovely with our inquisitive pupils who asked lots of good questions. We all thoroughly enjoyed it! We even got chance at the end to test out how comfy the beds are! This term we will be settling into the juniors with Mrs Veitch and Mrs Maxwell and getting used to all the little things that are different in KS2. Numeracy - We will be focusing on place value, addition, subtraction, multiplication and division. Literacy - We will be covering narrative based on a story called Into the Forest which will move onto other stories related to storms. We will also cover recounts in the form of news paper reports and poetry linked to these themes. Topic (History and Geography) - Our main topic for this term is Prehistoric Britain so if you find anything interesting at home to do with the Stone, Iron or Bronze ages please do send them in. Art - We will be looking at Stone Age cave art and recreating these techniques used by prehistoric people. DT - We will make prehistoric sculptures this term linked to our topic. French - As an introduction to this Modern Foreign Language we start off by looking at the country and its geographical features including where it is in relation to us. We then move on to numbers and simple greetings and phrases. ICT - we will carry on improving our Coding skills as well as doing lots of internet research. RE - This term we cover Christianity and Islam. Welcome to Year 3 with Mrs Veitch and Mrs Maxwell. Please download the document to see the objectives for the curriculum for Year 3. This term we will be focusing on the following units of work. Exploring what physical skills prehistoric people would have needed to survive, and developing these skills using a variety of activities, such as throwing, running and jumping. Numbers to 20 and basis greetings, phrases and vocabulary. Using the internet to research and verify information about ice age animals, and presenting findings using word processing. Our science topic this half term was rocks and fossils. To start our Science week Stephen came into school to do a talk about rocks and fossils. The children we able to look closley at different types of rocks and fossils to compare them. Throughout the week the children investigated three different types of soil, to compare them. The children throughly enjoyed this topic. Our topic for this term is Ancient Greece. As part of this we will be looking at patterns and mosaics. The children will be collaborating together to produce a joint mosaic vase. The children will also be producing a clay art and strecthing in patterns and designs, using research they have carried out. We will also be comparing life in Anicent Greece to life now. We look fowared to sharing our learning with you over the next term. Following on from researching Tobago, we have been looking at African Art. We looked at the different colours used to make an effective background, identifying how the colour fades down the picture. We then went on the look at how silhouettes are used to make the picture stand out. As a final product we made African Masks. This involved lots of stages including paper mache, plaster of paris and painting. The final products that the children produced were fantastic. As part of our Design and Tecnology session, Year 3 travelled to Holme Head in Carlisle. There the children were given the opportunity to explore a range of recycled resources and create a master piece. The children were able to use a range of equipment including saws, hammers, needles, paint, glue and clay. They all produced some fantasic creations, really using their immagination. During the day the children were provided with juice and snack. They were also able to explore the forest schools room. The children throughly enjoyed their day and have asked to go back very very soon. This half term we have been reading the book 'Gregory Cool', the children have really enjoyed this book and produced some fantastic pieces of work. To end our book the children were set the task of researching the Country Tobago and producing a travel guide informing people about Tobago. The children found out lots of interesting facts and produced some very detailed travel guides. Our topic this half term is holidays. We have choosen Africa to focus on. We have worked through different processes experimenting with colours from dark to light. We combined them together and our results were amazing. Here is an overview of what we will be covering throughout Autumn in Year 3. As part of our Topic the children will be going on a Trip to Holme Head House, where they will be taking part in a woodwork workshop. Welcome back after the summer holidays. We have lots of exciting activities and topics planned for this year. Our first topic for autumn is holidays. We look forward to eploring this topic in more depth with the children and seeing the outcomes. Today we finished our afternoon with races and pancakes. As a class we celebrated the traditional Christian Shrove Tuesday, after fact finding about the Chinese New Year yesterday. On Friday 29th January we took part in a drama workshop with Becky Cranley from Helen O Grady drama school. The class enjoyed warm up activities, they worked independently, with a partner and in groups. It was a fantastic opportunity for all children in the class to take part and have a voice. On Thursday 28th January we welcomed Ian Douglas, a storyteller into school. He talked about the skills you need to be a successful storyteller and then he told an interesting WW1 story about fear. The children really enjoyed taking part in the session. A lady called Tina paid us a visit from PDSA in Sunderland, this is a voluntary charity which relies on public support for funding. She talked to the children about looking after pets and discussed what their pets would need to be healthy. She played some games and showed us pictures and videos. The children were given PDSA leaflets about joining a club called 'Pet fit club'. Some of the children brought money to buy souveniers. The children loved taking part in their street dance session. They were all keen to show off their dance moves to Bruno Marrs 'Uptown funk'. Fun was had by all, well done to all involved. During anti- bulling week 16th - 20th November we talked about cyber, physical and emotional bullying. The children took part in drama, where they role played various scenarios. On Thursday 26th November we invited parent and carers into school to enjoy a range of Christmas activities with the children. A fun afternoon was had by all. On Tuesday 24th November we welcomed champion gymnast Harry Owen of Team Wales. All the children took part in a sponsored event led by the athlete followed by a talk and an amazing demonstration. We are pround to say together we raised the fantastic total of £1238.00 for the school funds. Well done to all involved. Our Stars of the week this week are Lewis Fisher and Abbie Tinnion. They both try really hard all of the time, even when things can get tough sometimes they always carry on and produce a lot of work. Well done to them both. Today we welcomed the author Robert John Bullock into school. He came in as we were celebrating WW1, he worked with Year 1, 3 and 4. Whilst in Years 1 and 3 the children completed some creative writing after sharing ideas from his book Jacobs War. In year 4 the children done some drama and put on a show for the rest of the class. The author was really impressed with some of our writing in year 3 and is keen to see some of our finished pieces, he asked if these could be forwarded to him once they are completed. The children really enjoyed their day. Our stars of the week this week were awarded to Emma Nordon and Robbie Lee. Emma is an all round superstar, she works hard in class all of the time and sets good examples to others in the class. Well done Emma. 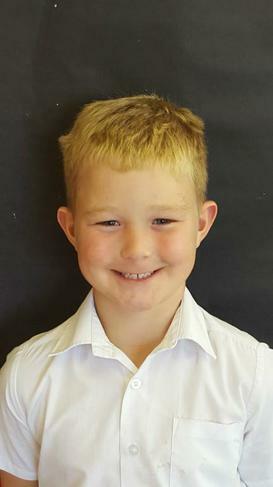 Robbie has had a brilliant couple of weeks in Year 3 now. he is really settling down and concentrating really hard on his work. Well done Robbie, keep it up. This morning in maths (30.09.15) we have been looking closely at shape, the children had to discuss properties of shapes with a partner. One child then went to the board and had to draw the shape from the suggestions that were given to them. They really enjoyed this activity! Today was our first visit up to our new forest school site at Beacon Hill School. We had fun exploring the new site and woodland area. Our activities included making rhythms with natural materials, building shelters for woodland animals and drinking hot chocolate! We had a lovely day. We had a lovely trip to Threlkeld Quarry. The weather was lovely and we had a fantastic, fun packed day. To begin with the steam engine came down to pick us up to take us into the quarry. On our way up to the quarry we admired the granite and slate which we could see from the steam engine. There was also old machinery which we passed on the way, all o0f which are still working and when the quarry holds 'working weekends' the public can go and see this machinery working. Up in the quarry we learned a lot about the history of the quarry and lots about the granite, slate and how they were both formed. The gentleman also gave us lots of information about the surrounding are and what others types of rocks we would find. After our journey back down to the museum, we enjoyed lunch with such a beautiful view looking onto Blencathra. Followiing lunch we split into groups and used the afternoon to look around the museum which for its size was packed with useful and interesting information whilst the other group were panning in the stream. The groups then swapped over so they all had the chance to cover both activities. From this week we have decided to award two star of the weeks in Year 3. Our stars of the week this week were Milly Wiltshire for being such a superstar and setting such as good example to others in the class. Dylan Bell also receieved star of the week for settling in much beeter in class and getting on with his work. Well done to them both. On Friday morning we got involved with the Macmillan coffee morning ourselves in Year 3. On Thursday afternoon we baked biscuits, flapjack and a zebra cake! The children really enjoyed taking part for such a worthy cause. We also had a snack and we added icing to our own cakes to eat in class. Our forest school has started back up again. The children have been working in the school grounds for the last couple of weeks. They have been doing team building exercises, games and it is very child led. During this exercise the children had to think of a way to rescue the little men which were up a tree, they had to think of how they could get them down as a team. During forest school they enjoy hot chocolate and a snack. The children love it! Star of the week this week was Marcus Hamilton. Marcus has been trying extra hard in class and has produced some lovely work. Well done Marcus! I'd just like to take this opportunity to welcome you all back after the summer break. We've had a lovely first week in Year 3. Were all still getting to know each other but that's been part of the fun. So far this week we've enjoyed writing our recounts in Literacy, place value in Numeracy, forest schools, PE and we even carried out some research about our longest reigning monarch! 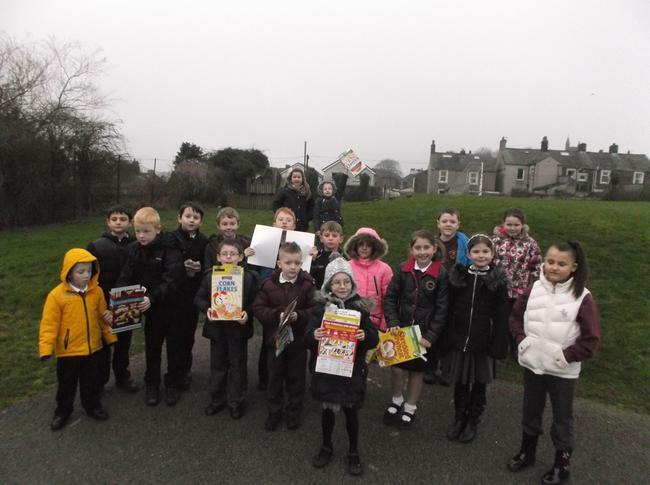 This morning at 9.30am we took the children outside with their 'solar eclipse view boxes'. We waited patiently as it grew colder and darker. We then caught a glimpse of it through all of the clouds using our boxes. The children were previously told not to look directly at it and for that reason we came back in before it was too bright. However we did then have a go at looking through a welding mask which was absolutely amazing, the children loved it. What a lovely experience! We decided to choose Spain as the country we would focus on specifically as many children have visited this country and associate with it. During the topic we have compared Spain to where we live and have looked closely at similarities and differences between the two countries. The children researched all of these and worked on taking notes to compile a leaflet in literacy to persuade people to visit Spain, they were fab!In literacy we've also written letters to Spanish children to persuade them to come and visit us in Cumbria. To finish off our lovely topic we had an afternoon of cooking and trying Spanish omelette and a variety of Spanish fruits which the children loved. Therefore we looked at healthy eating, what it means to be on a diet, eating a healthy diet, food groups and which foods belong to these groups. The children then learnt about exercise and the affect of this on the body. We took resting pulse rates before and after PE sessions and recorded them to see the difference and talked about why this happened. We carried out some Research about Usain Bolt and how his diet and lifestyle impacts on how successful he is as an athlete. As Usian Bolt holds the record for running the 100m in 9.68 seconds we carried out some exercises to see what Year 3 could do in that time. We then ran the 100m and timed ourselves to see how quickly we could do it. Some of us were very surprised at how quickly we could do it!! In Year 3 running up to Christmas we had two students working with us from CPTT. Miss Maddah & Miss Rama taught the children some history, RE and other lessons where possible. We enjoyed having them to work alongside us in our class it was a lovely experience. On 13th and 14th November year 3 went on an overnight stay to Derwentwater Hostel. Over the 2 days the children took part in many different activities. Some were educational activities but all were fun. Our school has a link with a school in Cairo, Egypt. Over the last 2 years different classes have had the opportunity to complete activities with children from the school. During this term, year 3 have been working together on a 'Volcano' project. Both schools had lots of fun during the project. Some of the activities included; researching where volcanoes are found, why they erupt and making a model volcano to erupt. At the end of the project both schools took part in a video confrence where they shared their information. In topic we have been learning about brave people. Year 1 have learnt about Neil Armstrong and Christopher Collumbus. Today we had a very special visitor from the PCSO who came to talk to us about his job. We had lots of questions to ask him and he answered all of them. Year 1 would like to say a huge thank you.